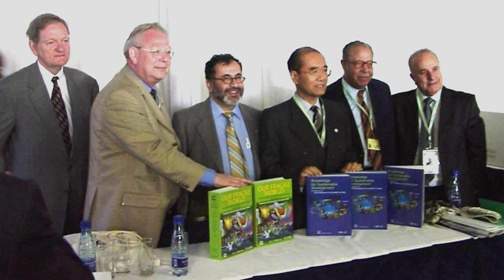 Today, I have both the privilege and the pleasure of inaugurating the Encyclopedia of Life Support Systems (EOLSS), a source of knowledge that links together our concern for peace, progress and sustainable development. It is the result of an unprecedented world-wide effort that has attempted to forge pathways between disciplines in order to show their interdependence and, in so doing, help foster transdisciplinarity. We all feel that the contemporary problems of sustainable development - be they climate change, preservation of biodiversity, or poverty eradication, peace and stability - could be solved if we are able to propose new scientific approaches based on a combination of different disciplines. It has become clear today that the prevailing trend toward increasing fragmentation and compartmentalization of most academic disciplines runs counter to the pressing need for knowledge integration within our approach to sustainable development. 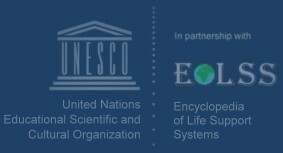 The on-line EOLSS, together with a set of printed volumes entitled Knowledge for Sustainable Development - An Insight into the Encyclopedia of Life Support Systems, has attempted to transform separate collections of building materials stored in a host of isolated disciplinary depots into a coherent edifice of understanding. The aim of this huge endeavour is to help us move from piecemeal insights about individual components and processes towards an integrated vision of the Earth’s life support system as a whole. The EOLSS Body of Knowledge has 21 major subject categories traversed by about 300 subject themes. Each theme is, on average, equivalent to one print volume of 600 standard pages. Some themes are so large and elaborate that they may be regarded as encyclopedias on their respective subjects. In accordance with UNESCO’s commitment to the transfer and sharing of knowledge, and in response to the current appeals of the World Summit, I am pleased to confirm that we are ready to provide free access to this unique on-line Encyclopedia for those universities and research centres in the least developed countries that have demonstrated their commitment to sustainable development, as well as for disadvantaged individuals world-wide. Being aware of the importance of the EOLSS for the promotion of the theory and practice of sustainable development throughout the world, I am delighted to be here to declare the on-line Encyclopedia open.